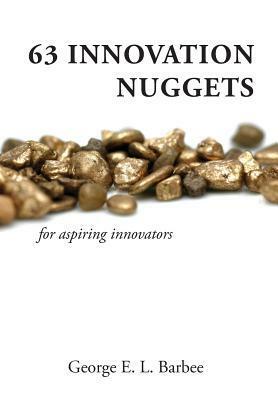 “63 Innovation Nuggets for Aspiring Innovators” by George E. L. Barbee (Innovation Etc. Publishing Co., $24.95). Innovators such as Thomas Edison, Henry Ford, Bill Gates and Steve Jobs saw what wasn’t there, they identified gaps and filled them. 1. “Leading innovation with vision.” Think “boundary-lessness,” a term coined by Jack Welch at General Electric, speaks to collaboration involving stakeholders and the understanding that the Cloud presents opportunities to tap expertise. Become your own disrupter. With multiple perspectives, you develop a vision of what could be. Embrace it, explore it, then execute it. The following nuggets build from No. 1. 7. “Building an Innovative Network.” Identify the “out-of-the-box” thinkers in the organization — especially those who interact with customers. Meet with a few you know best and have them share their creative success stories. Schedule a second meeting and have them bring a few creative friends from their team. Encourage communication and use regularly scheduled meetings to keep everyone up to date. As the network grows, so will its ideas. With a group of creative people driving innovation, organizational buy-in comes quickly. 19. “Observing as an art.” Stop, look and listen — inside and outside work. Observe people’s reactions to various situations. Jot them down. Have your creative network do the same. Share the observations at your meetings; they’ll connect dots that will be useful in moving innovative thinking forward. 24. “Presenting as an art.” Innovators are salespeople because they’re in the business of convincing people that “there’s another way.” While there are formal presentations, “your best presentation is discussion.” Why? It personally connects the audience to your content. When they share their perspectives, you get a better picture of yours. “Why Should Anyone Work Here? 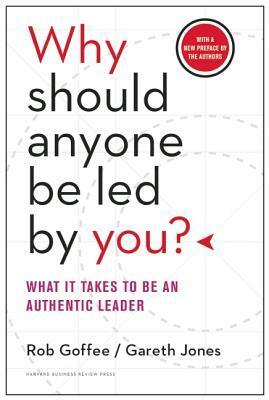 What It Takes to Create an Authentic Organization” by Rob Goffee and Gareth Jones (Harvard Business School Press, $30). Difference — True diversity goes beyond gender, ethnicity, age, etc. It includes thought processes, approaches to tasks, frames of reference and ways people learn. Employees don’t want to be clones or drones. By valuing such differences you can leverage the power of divergent thinking. Radical honesty — In order to maximize productivity, people need to know what’s going on. When left in the dark, they begin to guess; productivity falls when the rumor mill starts. Extra value — Employees are assets that build intellectual capital. To maximize value, employee development must focus on three levels of skills: technical (job-specific), conceptual (problem-solving and creativity) and human (communication, and collaboration). Authenticity — People want to work for companies that stand for and behind something. It goes beyond products and services and deals with role models and community. Everyone talks the talk. Meaning — Engaged employees don’t work just for a paycheck. Their jobs connect them to their colleagues, stakeholders and the organization’s goals. Cross-functional teams at all levels allow employees to share knowledge and build relationships — the glue that holds great teams together. Simple rules — Complexity breeds misunderstanding and brings agreement, fairness and discretion into question. Keeping things simple allows improvement to flourish.